Support the First and Only Graduate Scholarship in Honor of the People's Champion Muhammad Ali! Your gift provides transformative graduate education enabling leaders to elevate underserved Muslim communities. 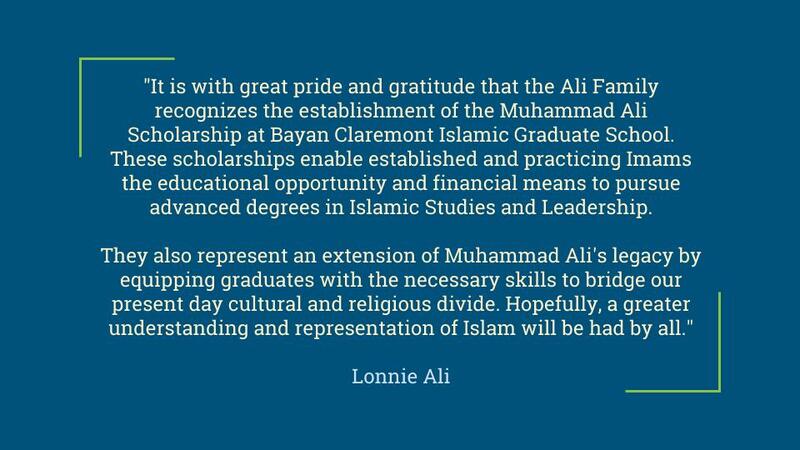 Bayan Claremont Islamic Graduate School, with the support of the Ali family, is excited to announce the launch of the Muhammad Ali Scholarship Fund for Spiritual Leadership. Our long term goal for the Muhammad Ali fund is to provide 20 full- tuition scholarships to a select group of deserving and highly qualiﬁed entering graduate students enrolled on a full-time basis in Bayan's 48-unit Master's degree program in Islamic Education or Islamic Studies & Leadership. This endeavor is designed to educate, train and credential the next generation of religious and community leaders in order to help them bring their communities to a position of excellence. The people's Champion once said, "My wealth is in my knowledge of self, love, and spirituality." 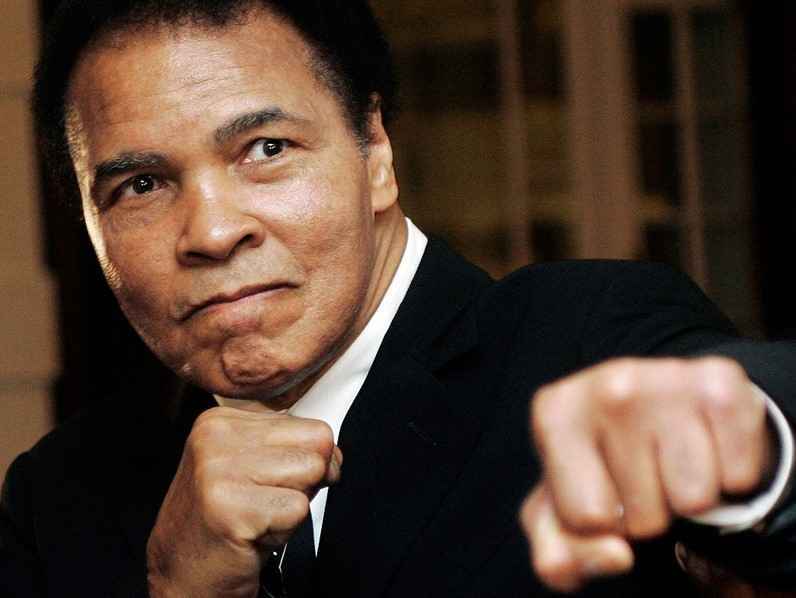 At Bayan Claremont, our educational vision for "a world that understands Islamic values in a modern context" involves the cultivation of rising leaders who are ﬁrmly in touch with their own faith, identity, and community, echoing Muhammad Ali's groundedness and dedication to the betterment of others. Who Are Potential Bayan Students? The Scholars Program will support students starting with the Fall 2017 entering cohort of recipients. This scholarship will help reverse the adverse effects of the mass incarceration of black men. I will always help people as long as it is for the right reason . May Allah grant you the highest level in Janna for making a difference.